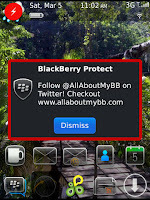 Just released (in open Beta) is a new app for BlackBerry called BlackBerry Protect. This free app runs in the background on your BlackBerry and is a very powerful tool. Not only does it offer wireless backup of your device info (think no more desktop manager back-ups!) But if your family is like mine (we all have a BlackBerry) it's a great way to keep an eye on your family. Let's take a walk through this app. Once installed you will need your BlackBerry ID. This is the same one you use for Appworld. Setup options include allowing location finding (this is unchecked by default, but to use all the features you should check it). Other options include how often to perform a backup, only backup via wifi, and backup while roaming. 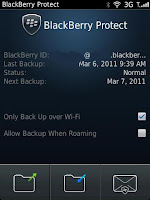 Now that you're setup, let's talk about some of the features of BlackBerry Protect. The following screen shots are of the web-portal that can be accessed at www.blackberry.com/protect where you will be required to login using your BlackBerry ID. 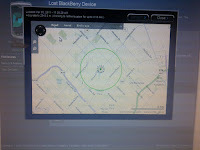 -View current location: If your BlackBerry is stolen or mispaced, you can use this feature to view its actual location via the phones built in GPS (some models don't have a GPS, so it won't work on those). A feature I found VERY useful (that wasn't really advertised). If you have multiple BlackBerry phones in your family, you can sign them all up with the same BlackBerry ID (I used mine for all 4 of our phones). This allows you to log in and check/modify all phones with one login. -Loud ring: Imagine the scene. You're running late for work, but can't find your BlackBerry. The last person to use it was your kid, and they left it somewhere.... You try calling it, but its on Vibrate. 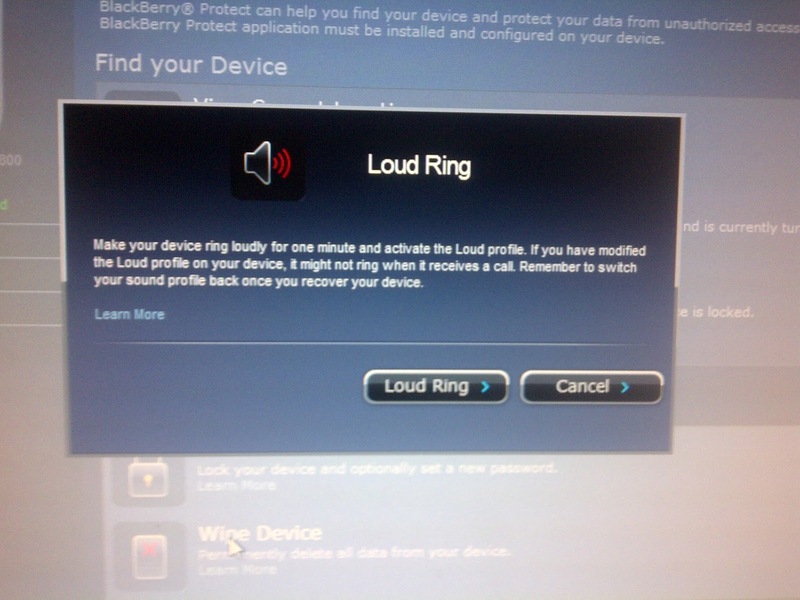 With BlackBerry Protect, simply login to the web-portal and select "Loud ring". 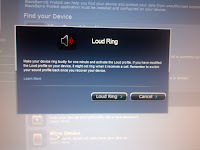 This makes your BlackBerry buzz, chime and beep no matter what sound profile it is on. Locate your phone and head off to work! Brilliant! -Lock your device: In keeping with the idea of losing a device, this feature will lock your BlackBerry, keeping any prying eyes from snooping your private info! 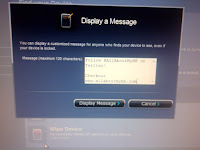 -Wipe your device: Always a last resort, but very important for business people. This allows you to remotely wipe all your personal info from your BlackBerry in case of emergency. 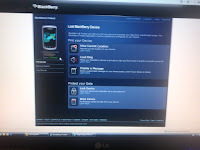 On device App settings: Here is a screen shot of the app on my BlackBerry Torch. You can see that on the main screen the only option offered are the Only backup over Wi-Fi, and allow backup while roaming. The buttons on the bottom (from left to right are) Backup, Restore, and Messages. Pressing the menu key and selecting options will give you a greater choice of options which include: The ability to automatically backup daily/weekly/monthly. What data to backup. This includes: Contacts, Calendar, Tasks, Memos, Browser Bookmarks and Text messages. The final option is to allow location reporting (required to use mapping feature listed above). 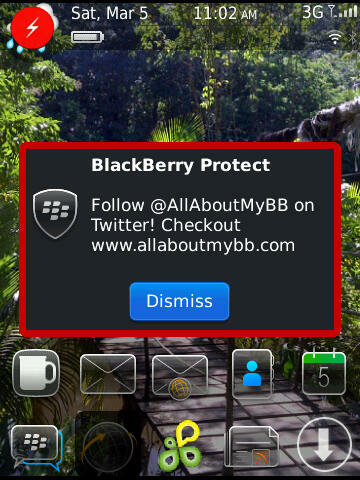 All in all this app is truly a must have for BlackBerry users. I strongly feel that BlackBerry has created a free service that offers huge functionality and unbeatable security for its users. No cords, no fees AND no worries! On your BB when you are logging in via your BBID. Just use the same BBID for each phone you wish to group. Then when you log in to the web portal, you that BBID and you will see all those devices. 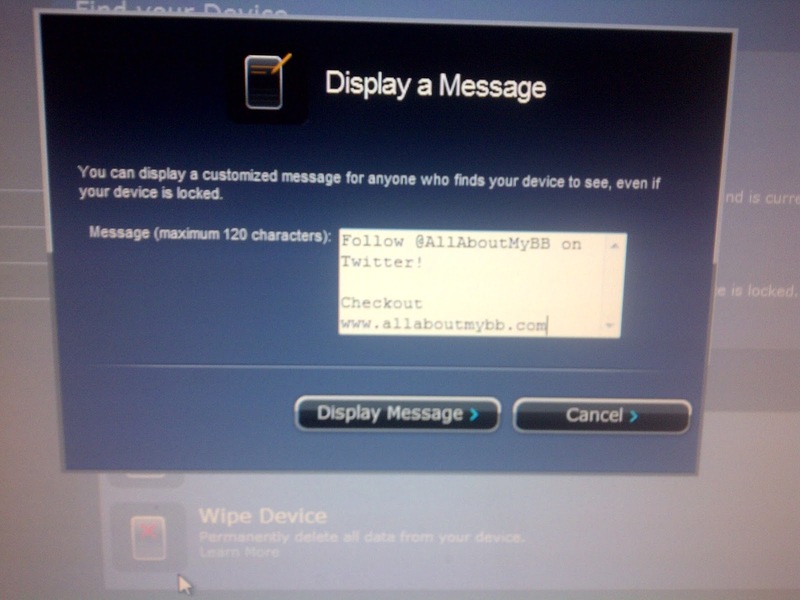 I want to be able to place my kids' BB's onto my BlackBerry Protect account. According to your posts, it seems I can only accomplish this if their devices' BB IDs are the same as mine. Now, for the life of me, I cannot figure out how to change the BB ID on my kids' BB's. They each currently each have their own BB IDs. Please help. BTW, when I went into my daughter's Appworld app and tried updating to my BB ID, it says do I want now associate my PIN with her device (which of course, I do NOT). One more note, each of my kids' BB IDs also are now associated with their own BlackBerry Protect account. Not sure if this fact matters in how I would proceed. Thank you so much for this information. Some just stole my BB and I know who it is. 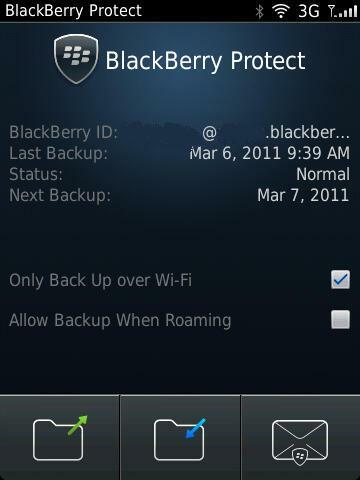 I have blackberry protect and have backed up my bb. BUT i will like to know if I get a new BB, say in a month's time, will I still be able to retrieve all my contacts onto another BB? 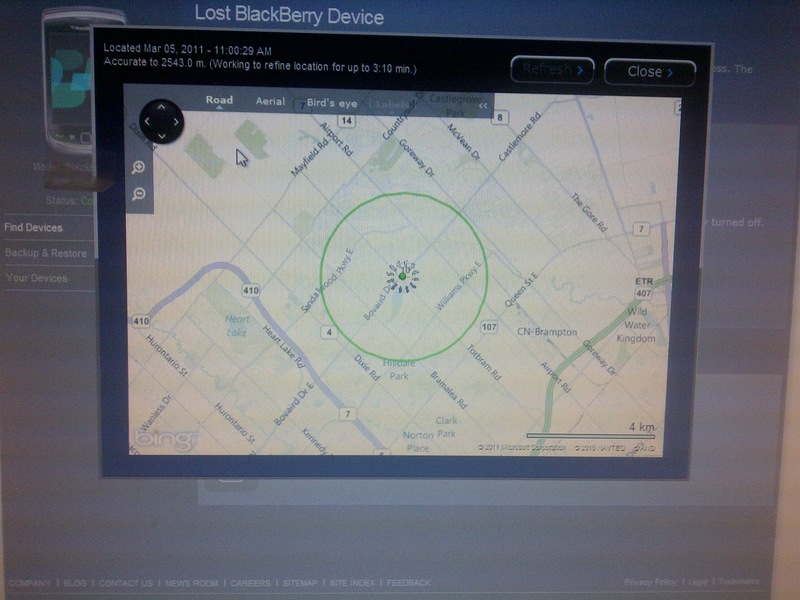 Is it possible they are able to unlock the bb and will that affect me logging in with my bb ID 2 retrieve my data? this app only works for when you have misplaced your phone, not when it is stolen. i lost my phone over the weekend, tried to locate the phone, got a 500m radius, like what the hell? then the phone has been off since, or maybe wiped by the thief, cannot see the phone online, nor can i wipe, ring or locate anymore. what is the point of this thing?